It’s as though Costa Rica always knows what we want and need. Right when we’re setting out on our winter breaks, Costa Rica starts its most beautiful season of all. Your kids are out of school and you have time off work for the holidays, and more likely than not, you’re all itching to get out of the cold. 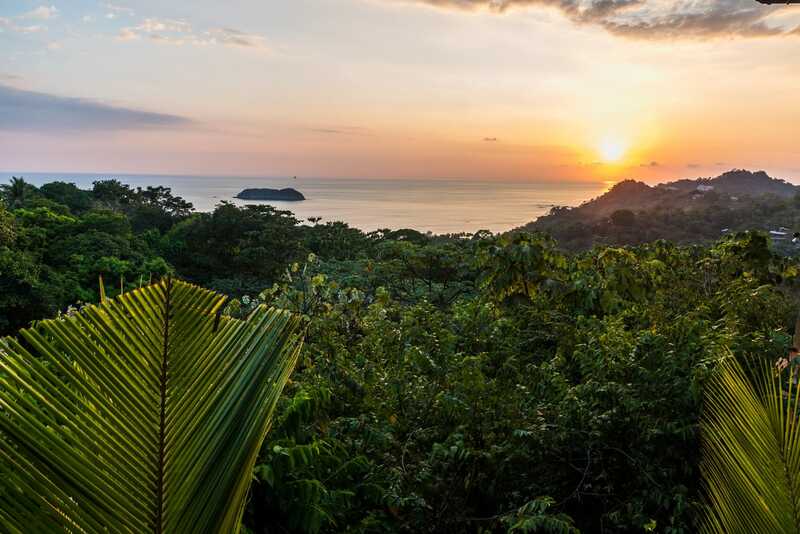 A vacation to Costa Rica is just what you need, and Costa Rica is ready. December will be the first month of the dry season, so while you won’t need to worry about the monsoon-style storms or washed away roads from the months before, you’ll still be reaping the benefits of a newly hydrated land. After a couple months of rain, Costa Rica is alive like never before. 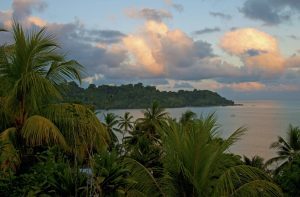 The jungles are sprawling with animal life and even the beaches are alive with tropical flowers and glowing, green palm trees. The temperatures remain lower and more comfortable than the rest of the year, but will still satisfy your cravings for a steamy tropical getaway. While the country transitions from the rainy season to the dry season, you’ll want to be there to experience the natural beauty. All this increased biodiversity and natural transition will coincide with your break from school or work, so there’s no reason not to pack your bags and refresh your spirit with a tropical getaway. The northwest region and almost the entire Pacific Coast will be experiencing clear skies for the first time in months. The rain has ceased and it left bluer waters, luminescent green palm trees, and wild flowers growing almost everywhere. The temperatures will be in the comfortable upper 80s range, offering the perfect opportunity for long beach days and comfortable park excursions. For the adventurers in your group, you’re in luck. The Pacific Region in December offers the most perfect opportunities for jungle adventures. While the roads still may be a bit muddy, the forest will be thick with plant life and animals will be coming out from hiding. You may have visited a Costa Rican forest before, but the dry season views wane in comparison to the newly dampened jungle. During early December, it’s possible you’ll see a rainfall or two during your trip. Fortunately, they are seldom and short-lived. These late afternoon showers typically lead to stunning sunsets and cool nights, and while tourists fear any rain on their trips, the showers receive a warm welcome from the locals. Those living in Costa Rica know that a late afternoon shower means comfortable nights and a crisp morning. By late December, the rains will have ceased entirely, but the tourism season will also be beginning. To take full advantage of your Pacific adventure, try to arrive as early in the month as possible. You’ll receive discounted hotel and tour rates while the country experiences a low-tourism season and you’ll have the opportunity to experience the changing of the seasons in the tropics. In early December, it’s possible that the South Pacific is still ending up its rainy season. While rains may be a bit more frequent during the first weeks of December, they won’t cancel any of your travel plans. This zone typically receives the grunt of the Costa Rican rains, so while many hotels and tourism operators closed down for October and November, they’ll be fully running by the time you arrive for your winter break. The countryside will be absolutely stunning, offering seldom seen views for those up for an afternoon hike. Because so many of these views were unreachable during the heavy rains of previous months, December may be your only chance to experience the Osa Peninsula in all its blossoming glory. Because of the El Niño tropical storms in the last years, it’s difficult to predict when the rains will subside in this region. The dry season should be in full force before Christmas time, but depending on unpredictable weather patterns, you may still see a few showers until early January. Any December rainfall will probably be limited to the late afternoons, so planning your activities around the weather will not be a problem. These showers will be less forceful, less frequent, and last less time than in previous months, so for anyone willing to brave a muddy hike, we absolutely recommend a trek to the Southern Pacific during your December getaway. For those hoping for a trek in the cloud forests, December is absolutely the right time to go. The clouds will be thicker than ever before, as will any jungle hiking trail scenes. The Northern highlands are extremely popular for those looking for yoga retreats, eco-hotels, or wellness journeys. The cooler temperatures will make your local coffee taste that much better, and the thickly forested backgrounds will offer the ultimate meditation space. Your trip in the Northern zone will be a mixture of trail hiking and meditation on covered platforms overlooking the cloud forests. Regardless of what adventures you concentrate on during your trip, you’ll enjoy fresh, local food and some of the best views on earth. December in Central Valley is the most welcomed month of all by locals and long-term residents. Temperatures drop into the upper 70s and even the booming city of San Jose goes green with natural growth and wild flowers. The elevated areas may still receive some rainfall during the first week, but they will be infrequent. If you plan on visiting the Arenal area in December, make sure to book any hotels months ahead of time. While the area is relatively vacant of tourists during the first weeks, floods of vacationers will arrive before Christmas begins. The Central Valley has some of the most exciting festivals and Christmas events, and even local Costa Ricans will travel from other parts of the country to the Valley to enjoy the celebrations. This is a time you won’t want to miss, but can’t be done without some prior planning. While the entire country is entering the dry season, the Caribbean coast is ending its months of sun and entering the rainy season. 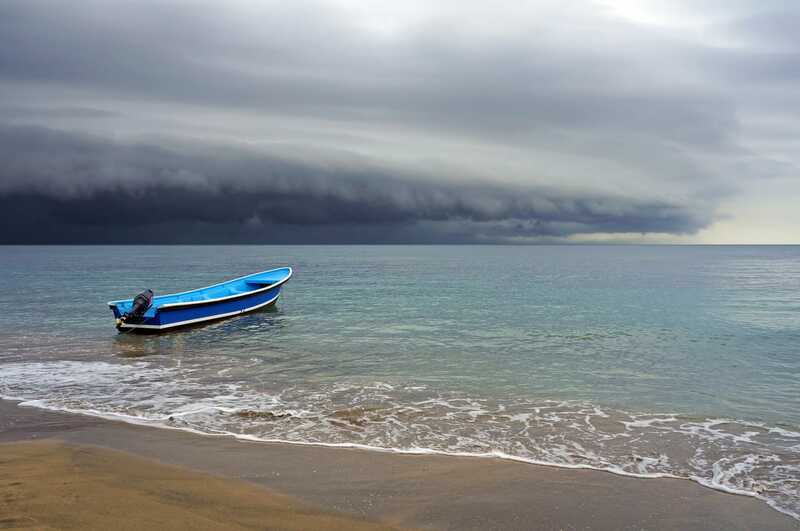 This part of Costa Rica almost always receives an inversed weather pattern from the rest of the country, and December is no exception. Temperatures will stay in the upper 80s, but rains will be frequent. If you’re itching to experience the Caribbean culture of Costa Rica, you’re still in luck. The December rains are short-lived. They may spring up at any time of day, but these strong showers very rarely last an entire hour. You’ll be free to live out your beach dreams, always prepared to dip into a tropical diner for some coffee while you enjoy the tropical storm. Once the rain has ended, you can probably expect clear skies for the rest of the day. While the rest of the country is a thriving green with blue skies, don’t let the Caribbean rains scare you away either. The countryside will be absolutely beautiful and experiencing a tropical storm could be the highlight of your trip.